Silvia Jonas holds a Minerva Fellowship of the Max Planck Society at MCMP. She completed her Ph.D. at Humboldt University Berlin in 2012, a B.Phil. in Philosophy at the University of Oxford (2010), an M.Litt. in Philosophy at the University of St. Andrews (2008), and a Magister Artium in Political Science, Philosophy, and Religious Studies at Munich University (2007). From 2012 to 2017, she was a Polonsky Postdoctoral Fellow at The Van Leer Institute and a Visiting Researcher and Lecturer at the Hebrew University of Jerusalem. Silvia Jonas’s research interests are in philosophy of mathematics (mathematical realism; the problem of epistemic access; fundamental mathematical disagreements), metaphysics and epistemology (the problem of ineffability; forms of non-descriptive knowledge; foundations of thought and language), and philosophy of religion (ontology and semantics of theistic language; the problem of disagreement). Much of her work is driven by a motivation to develop uniform accounts and solutions for problems that arise in different, apparently unrelated fields of philosophy. ‘Modal Structuralism and Theism.’ In: Fiona Ellis (ed. ), New Models of Religious Understanding. Oxford: Oxford University Press (2018). ‘Access Problems and Explanatory Overkill.’ Philosophical Studies, Volume tba (2016). ‘On Mathematical and Religious Belief, and On Epistemic Snobbery.’ Philosophy, Vol. 91 No. 1 (2015). ‘Unspeakable things: Life’s most meaningful experiences can leave us tongue-tied. What can be said, let alone understood, about what’s unsayable?’ Aeon. A digital magazine of ideas and culture (2017). 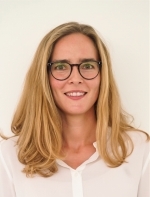 Silvia Jonas is a stipendiary in the Fast Track Program for Outstanding Women in Science of the Robert Bosch Foundation, as well as a research fellow in the project Abrahamic Inquiries into Science and Religion, funded by the John Templeton Foundation. She has been awarded research grants and scholarships by the Konrad Adenauer Foundation (€ 39,600), the German Academic Exchange Service DAAD (€ 13,200), the Humboldt University of Berlin (€ 6,600), the Polonsky Academy (€ 5,000), and the Rothberg Family Foundation ($ 4,000).